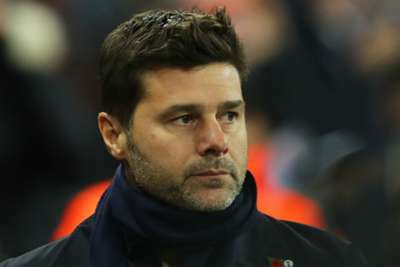 Mauricio Pochettino will be keeping a close eye on Inter's contest with PSV as Tottenham look to leave Barcelona with a place in the Champions League last 16 secured. Spurs go into Tuesday's game at Camp Nou second to a Barca side who have already made sure of their place in the next round as Group B winners. Inter are level with Spurs on seven points and host PSV confident of claiming victory, with Pochettino's men needing to at least match their result to go through. Barca coach Ernesto Valverde assured Inter his side will not take it easy on the Premier League team, while Pochettino will be paying close attention to proceedings in Milan. "Of course, I'm not going to lie, we'll know what's going on there," Pochettino told reporters. "We will be attentive, but we will focus on our match. It is important to know, but also to be concentrated in Camp Nou. "We are going to be ready to compete in our best condition. It is such an important game and you need to give your best, preparing not only physically but mentally, thinking what you're going to do, not what Barcelona are going to do. "We know Barcelona have a great squad and all the players deserve to be here." Despite not signing any players in pre-season, Spurs are third in the Premier League and qualification for the next stage of the Champions League from one of the toughest groups would be another commendable achievement considering their circumstances, and Pochettino accepts it has been a peculiar campaign. "Sometimes there are inexplicable things in football," he added. "This could be one of these things. "We are the only team in Europe that have not signed any players, but also not sold any players but still improved. It's an odd case. Everybody feels the same."